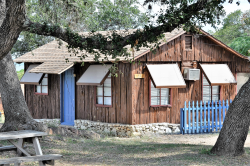 7 secluded cabins with ideal breath-taking canyon and star views, set on 15+ acres, located close to Old Tunnel State Park. 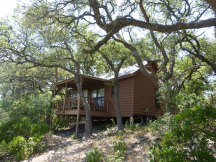 The cabins sit atop a ridge line with relaxing private decks, wildlife sightings, constant gentle breezes. Family & pet friendly, included are all the fixin's to make your own breakfast. Our hot tub is limited to two cabins. Cottages for rent and RV Park at this waterfront resort. They also have 2 boat launches, boat docking, and storage. 21+ Acres of Wooded Hill Country Bliss. 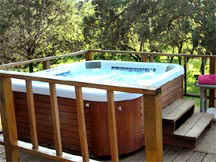 Hill Top views from large comfortable decks with their own Jetted Hot Tubs to take in the sites and stars. Both are Secluded and very private. Nestled midway between Comfort and Fredericksburg Texas you can unwind in the privacy of a cottage with tons of romantic amenities. Pet friendly as well! This waterfront cabin has its own private 2 acre lake on 250 acres of privately owned ICC Trophy Whitetail Ranch, only 45 minutes southeast of Dallas. 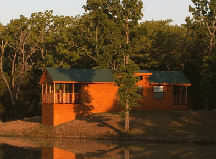 Enjoy your secret escape haven in the oak timbers of east Texas with lots of nature, wildlife and privacy. 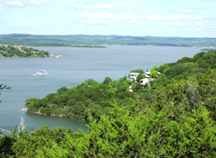 A Texas Hill Country Bed And Breakfast Spa Retreat Center---9 lakeside acres of lush tree-covered hills and panoramic views. Featuring: beautifully and deliciously prepared organic and natural food, intimate, candle-lit dining, "Sleep Number" (TM) beds, spa and hiking trails, and the finest massages available...anywhere! A very romantic Getaway, located on 26 tree covered, rolling acres with several ponds and two creeks only 3 minutes from the shopping on Main Street in Fredericksburg. 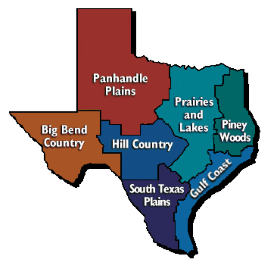 Choose from The Log Cabin, Hilltop Chalet, The Mansion, The Mesquite Farmhouse or enjoy the SPA on the property. 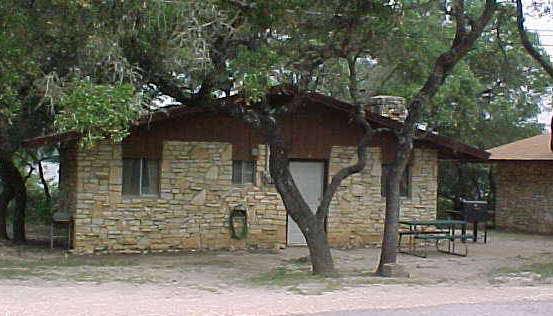 These Cottages, on the beautiful Canyon Lake shore, offer 2 room individual rock exterior cottages with a full bath, a full kitchen, and basic cable TV.